Confession...I watch the Bachelor, and I'm not even that embarrassed to admit it. But yes, this is a design blog, so I promise to not get too off topic and write about all of the crazy girls and awkward moments. 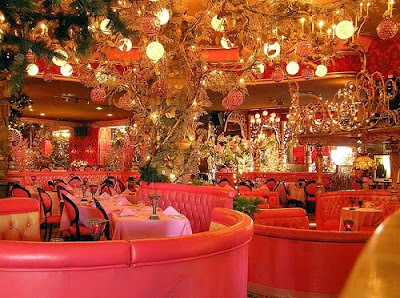 During last week's episode our sweet, but a little on the boring side Bachelor, Jake, took the girls on a "group date" to the Madonna Inn in San Louis Obispo. 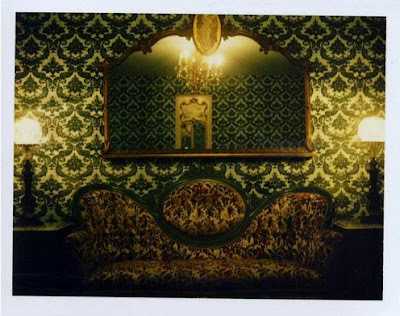 The decor of this place was so insane that I was having a difficult time playing attention to the show because I was too focused on the interior. How have I never heard of this place before? 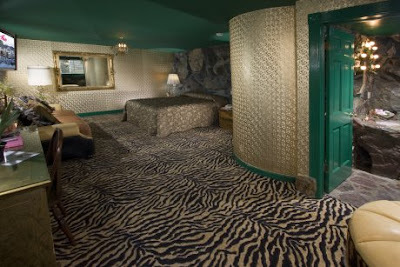 The Madonna Inn has been around since 1958 and has since grown to 109 suites and each room has its own individual, eccentric decor. I'm not saying I'm head over heels with the style, but I definitely appreciate this kind of unique creativity and extravagant attention to detail. Rooms average about $350/night. 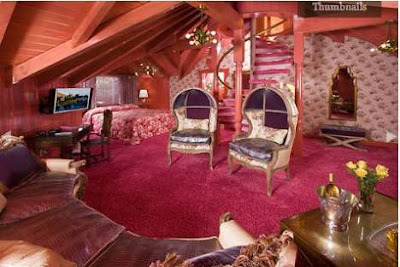 These were the best photos of the Madonna Inn that I could find. Someone seriously needs to go in and take some great photographs of this place because I have a feeling that the ones floating around on the internet just aren't doing it justice. 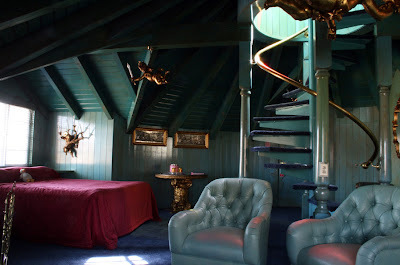 Photos were taken from the Madonna Inn website and Kim and Joojanta's flikr photos.